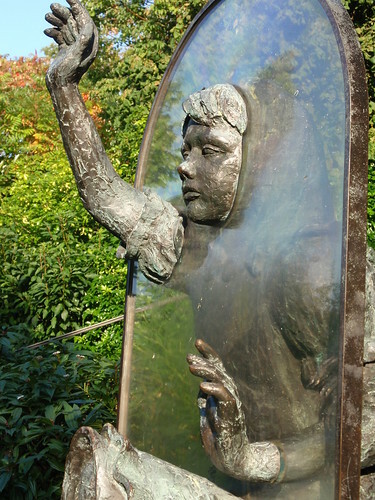 A friend of mine (who I met last year while abroad and who is now on exchange here at Mount Holyoke) was one of a pair of models for a sculpture of Alice moving through the looking glass. 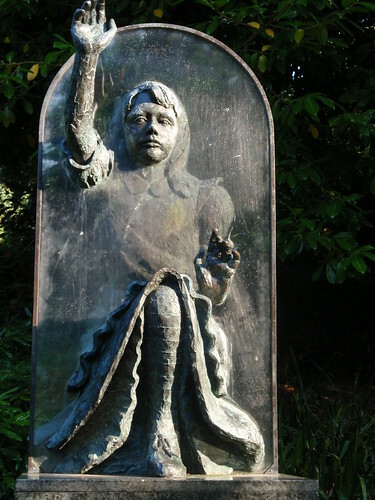 It’s located in Guildford in Surrey near a house Lewis Carroll once rented. The sculpture was made by artist Jeanne Argent using her daughter as the primary model and my friend stood in as the second because as young girls neither of them could sit still for very long. I thought about this while reading Alice in Wonderland and Through the Looking Glass and looking at the illustrations by Tenniel. The annotation tells that the illustrations were not modelled on Alice Liddell, perhaps on Mary Hilton Badcock, or maybe sprung from the vision of the artist. I thought it was worth thinking about the use of a model for such an iconic character. 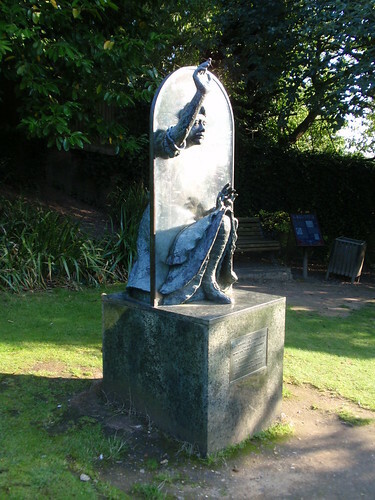 Though she was not such at the time Tenniel was drawing her, Alice has seen many interpretations and this sculpture is just one that my friend was involved in. 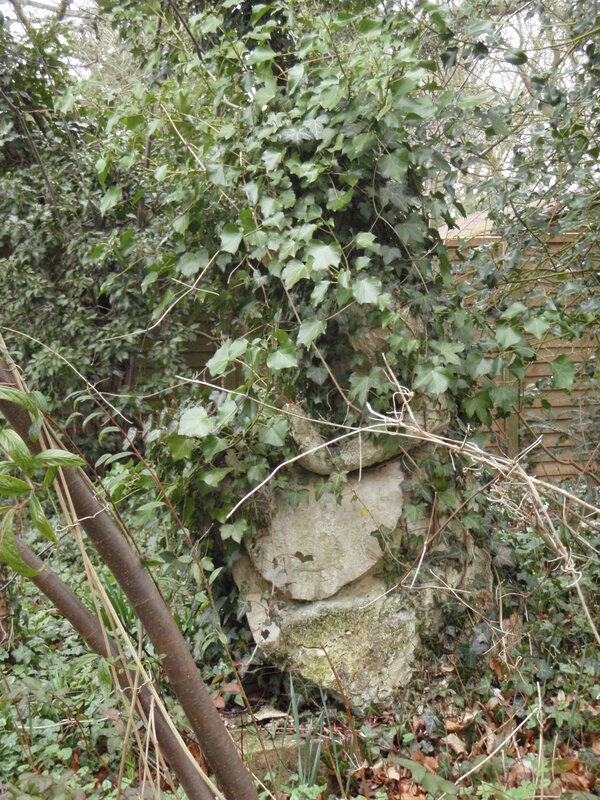 Located in my friend’s garden is another version of the sculpture. It’s overgrown with vines (which I think adds some charm to it) but the left arm is just visible in the picture.